If you are anything like me sometimes you get that dessert craving that just has to be satisfied. 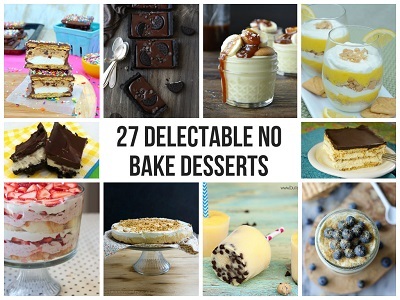 Here is a list of 27 Delectable No Bake Desserts that you are going to love. Trust me, there is somethng in this list for everyone, to satisfy any dessert craving. Have a look through these recipes today and you wont be sorry.